Paddon Rallysport's new base is at Highlands Motorsport Park. 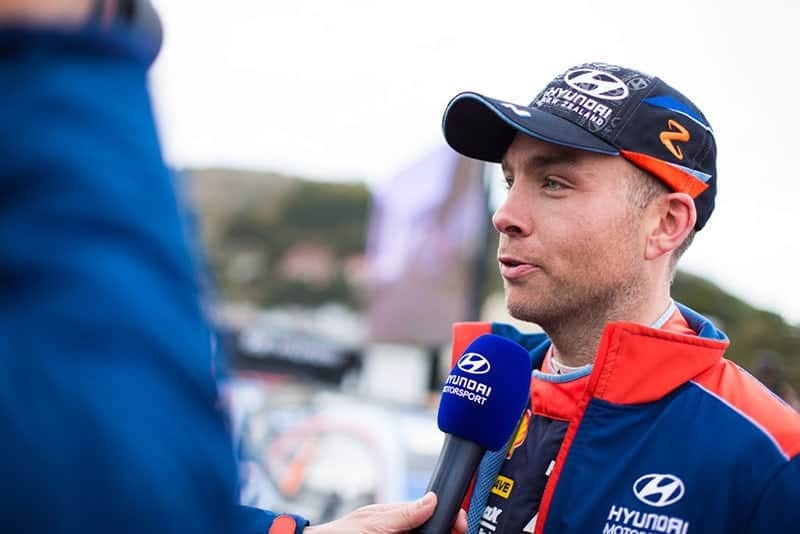 This year brings a new era for Paddon Rallysport as the team behind Kiwi rally star, Hayden Paddon, embarks on fresh plans with an international focus from their new base at Highlands Motorsport Park in Central Otago, New Zealand. The first step has been for the team to lease a state-of-the-art workshop at Highlands, right near the pit straight of the world-class racing circuit. The 500 sq. m workshop’s location means Paddon Rallysport has great testing facilities literally on their doorstep in one of the most visually-spectacular regions of the world. “Paddon Rallysport has been in operation for 12 years since we started our first full New Zealand Rally Championship campaign,” says Paddon. Josie Spillane, Highlands’ Chief Operating Officer, is equally pleased to have the high-profile Kiwi team onsite. “We are incredibly excited to welcome Paddon Rallysport to Highlands. It’s yet further acknowledgement that what we’ve created here is very special. As the technology makes the global economy ever more accessible, you can work virtually anywhere in the world now, so why wouldn’t you choose Central Otago and Highlands? “Hayden has got some very exciting plans, and we are keen to do what we can to help realise his vision. We love getting behind people who aren’t afraid to put in the hard yards, take a risk and use the infamous Kiwi #8 wire mentality to get things done. Paddon Rallysport continues with a domestic competition programme this year – with the exact events being contested in New Zealand with the Hyundai i20 AP4 car being confirmed in coming weeks. However, their main focus will be new projects and new technology being developed with key commercial partners. To help achieve these goals, five or more personnel will be working full-time for the team, which is also launching a new division called On-Track Racing to provide service and repairs for the competition cars used by Highlands Motorsport Park members. “My life always has and always will be devoted to rallying,” says Paddon. “Our new venture is a way to continue that, while also taking us in some new exciting directions. We have some big ambitions and we have some good people involved in these projects who bring the same passion and vision. From a professional point of view, Paddon has recently announced he’ll contest the inaugural season of the Global Rallycross Europe Championship which commences in June. He is working on other options to compete in Europe and hopes to announce more about these possibilities within the next month.